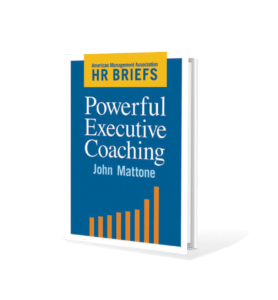 Author John Mattone shares his executive coaching ebook titled Powerful Executive Coaching which delivers a concise, but powerful look at how to coach current leaders and high potentials. It goes straight to the core components of successful coaching: assessing and enhancing the essential inner-core attributes (i.e., resilience, empathy, creativity) and outer-core skills and competencies (i.e., decision-making, critical thinking, communication) required of excellent leaders. Leadership books are just what you need, and only what you need, to get started on high-impact coaching that will drive leaders to success. Author John Mattone writes leadership books about executive coaching, business culture and talent performance accessible online via eBooks for user convenience.